P.S. 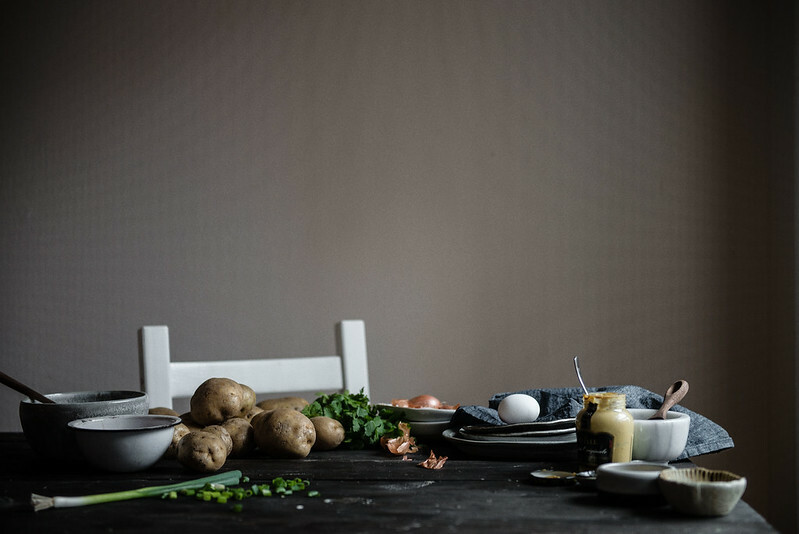 You can find a few behind-the-scenes shots for this post, plus some words about the blogging process, in a little interview I did with Bloglovin’! 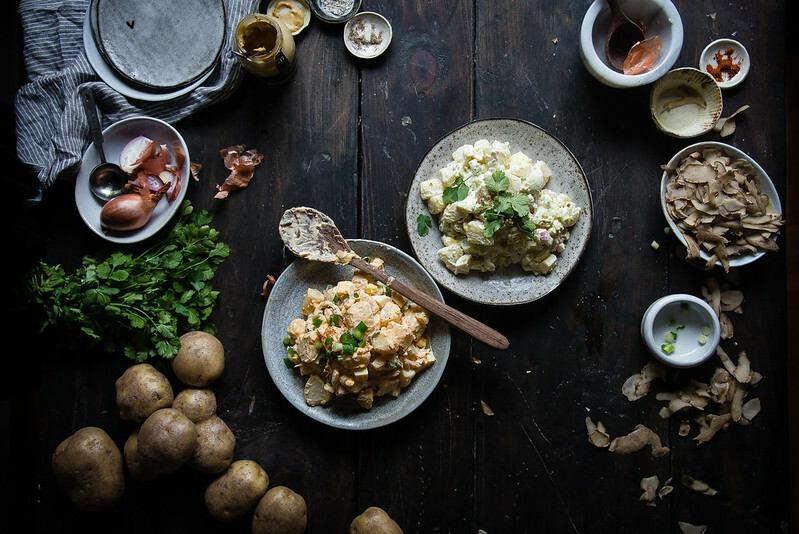 For anyone feeling traditional, I've included instructions on how to adapt this recipe for a regular potato salad in the Notes below. 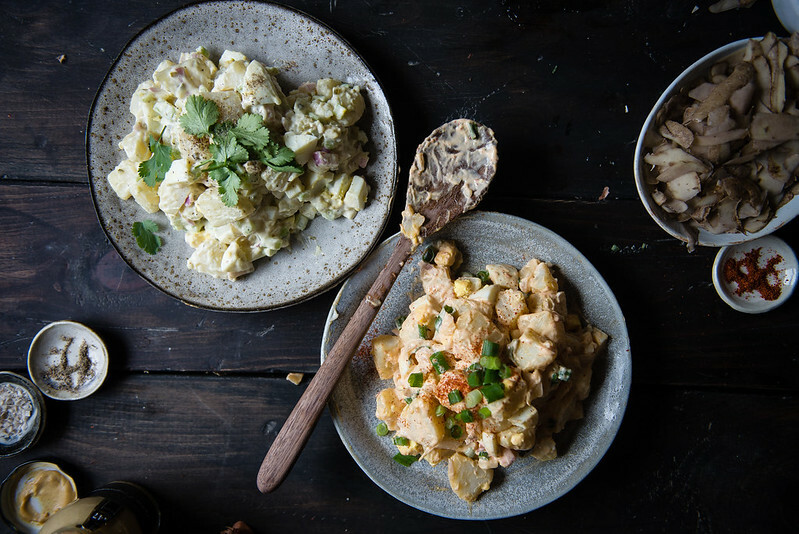 Either way, this is potato salad the way I like it -- with a touch of sweetness, extra hard-boiled eggs, and plenty of crunchies. Enjoy! 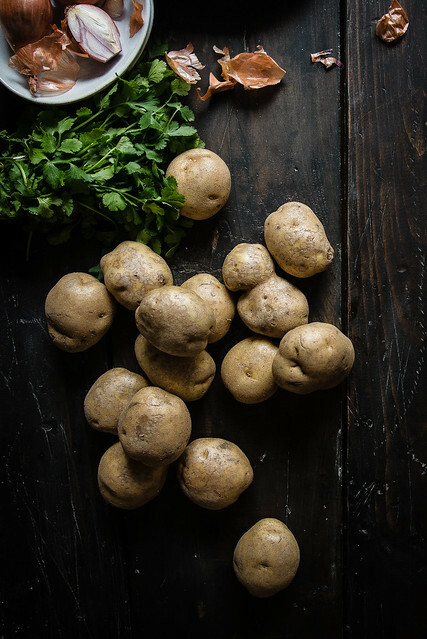 Place the potatoes in a pot with enough cold water to cover them by one inch. Bring to a boil, add 1 tablespoon salt, reduce the heat to medium and simmer until a paring knife slides through without resistance, about 5-6 minutes. Unlike for mashed potatoes, you’ll want to cook these to a little less than fork-tender. Drain the potatoes and transfer to a large bowl. Add the vinegar and toss gently to combine. Let stand until the potatoes are room temperature -- I transferred them to the fridge and chilled for about 20 minutes. Meanwhile, in a small bowl, stir together the kimchi, onion, scallion, mayonnaise, honey, mustard, and black pepper. Add the eggs to the potatoes, then use a rubber spatula to fold in the dressing. If needed, add a few more tablespoons of mayonnaise to loosen the salad. Cover and refrigerate until chilled, about 1 hour. Enjoy cold, garnished with extra scallions and gochugaru, if desired. 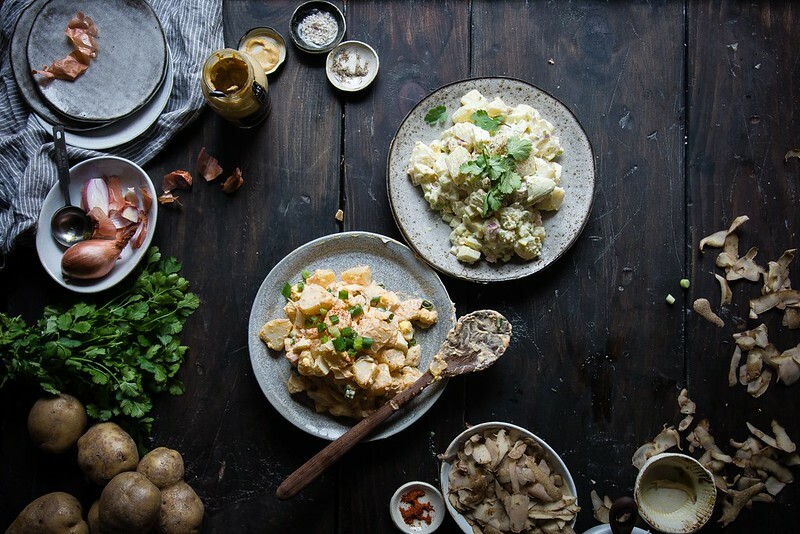 Potato salad can be covered and refrigerated for up to 1 day. 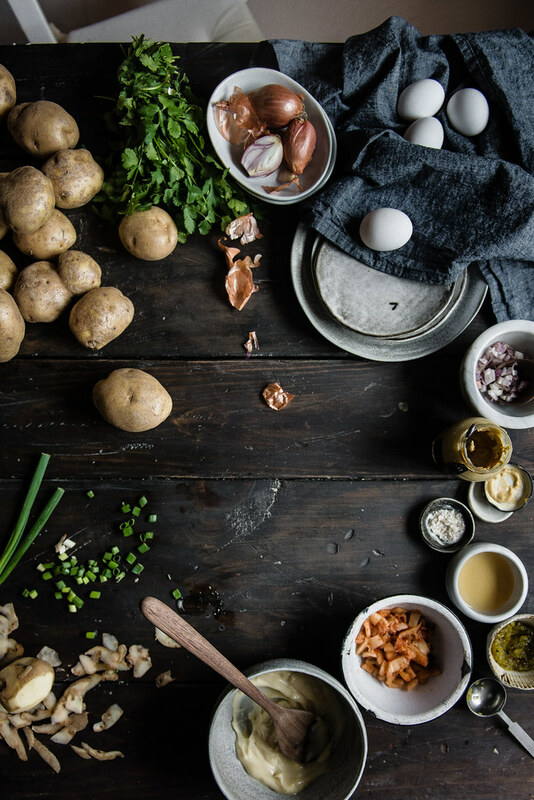 For regular potato salad, omit kimchi and scallions, increase mustard to 1 1/2 tsp, and add 1/4 cup diced celery, 2 tbsp sweet pickle relish, and 1 tbsp minced fresh parsley. « aunt beru’s (grown up) blue milk // may the fourth be with you! Hello! Thanks for the recipe, it looks delicious! I am so glad to hear that! Thank you!! Ah girl you know I love the Korean inspired dishes! My boyfriend is starting to get on board with the whole kimchi thing and this looks like something he would eat up. Such a perfect summery dish. And you know I’m obsessed with your styling, beautiful yet again!! YAY!! Kimchi for everyone!!! 🙂 Thank you so much for the kind words, Erica! Hahaha omg “harshed my mellow” — YES. Ugh I feel you. Let’s just switch hemispheres every six months. Or all move to Hawaii. Flavor is so important in the preparation of food. So why not Kimchi potato salad. What a great idea. Thank you so much, Gerlinde! I really like fusion recipes where you brighten a staple with another staple and it turns just wonderful. Great idea and great photos. Spring brings me back to life too. And you really are at the fun part of the planning. Cherish it! I love that about staples, too! It’s like when you introduce your close friends to other close friends and they hit it off 😉 The best. And you’re so right — we’ll definitely do our best to live in the moment 🙂 it’s really such a fun, giddy time. Thanks so much for such sweet words, Amanda! 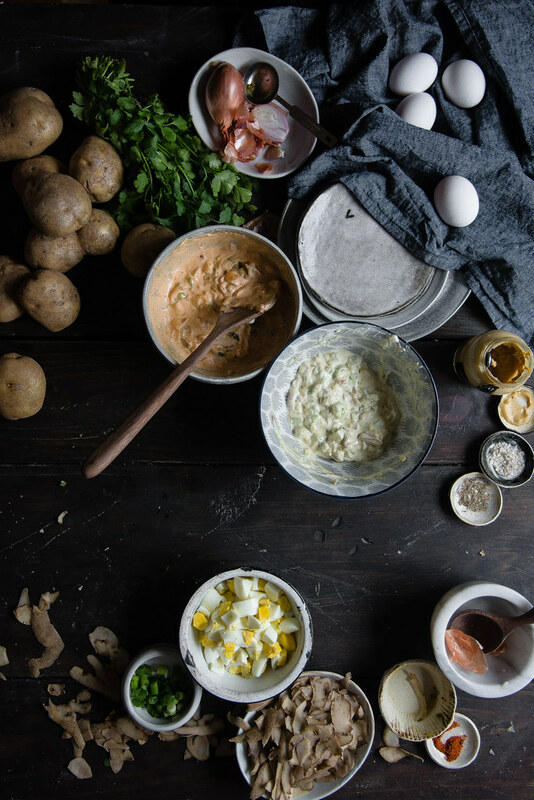 Ohh I have been looking for a unique mayo-based potato salad recipe! It’s surprisingly hard to come by, so glad you posted this. Also, yayyy for the wedding getting closer! I can’t wait to see the pics!!! PS: I read the BL interview last week and LOVED it! 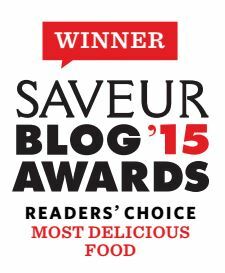 You said at one point that the blog “both creates and preserves memories.” So well said and I could not agree with you more, Cynthia! isn’t the seating chart fun?! it’s like a puzzle!!! we still have ours mapped out on a piece of cardboard laying around… also POTATO SALAD. i do love potato salad. i didn’t always love it. but in the past few years, i have become a potato salad lady. YES to all of this!! Also a recent tater salad convert (high five) aaaand I’m pretty sure we are never taking that sticky-note explosion off the wall ever. Until they all lose their adhesiveness and start falling off. HA–weather is basically the dictator of how my day will go, all the time. Kind of sad, really–but I guess it’s a good thing that I live in California then, eh? Can’t complain–plus this salad! I have kimchi! I have potatoes! I’m getting ready to make this, whoo! SAME!! So sad, but so real. I’m thinking I need to come join you in Cali.. And yayayay I hope you love it if you try it!!! Hope you’re doing well Ala!! This is such a fun fusion dish! I wasn’t a big fan of potato salad, but this might push me over the edge. It helps that 1) my husband LOVES potato salad and 2) I’m making a batch of kimchi as we speak, so I really don’t have an excuse, do I? So glad you’re enjoying the process of wedding planning. It’s so precious!!! I adore this, Cynthia! Your photos are incredible – I know I’m always saying that, but it’s just so true. 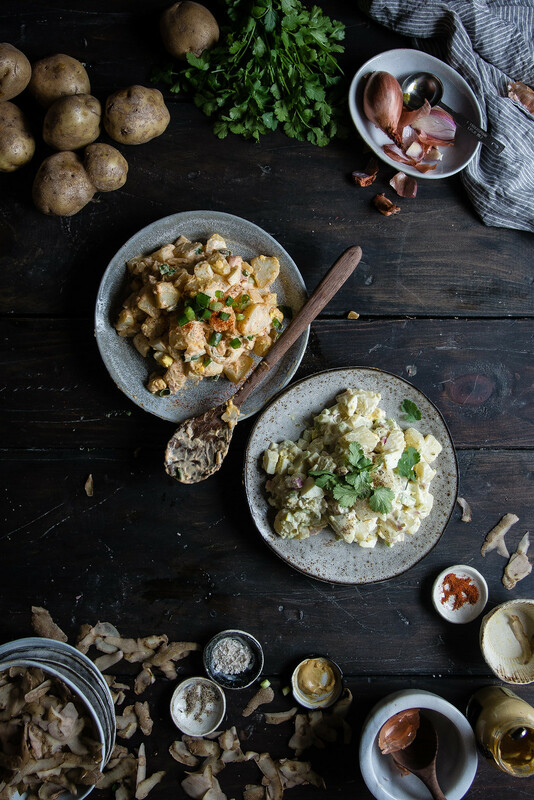 This sounds like a merger of two of my favorite things: potato salad and kimchi. YES YES and YESSS!!!! i’m so happy to hear you two are enjoying the last few bits of planning before the BIG day! i can imagine there is quite a lot of excitement and happiness buzzing around your home 🙂 🙂 and isn’t this weather insanely beautiful!? i can totally relate to feeling revived and alive again, it feels so so good! 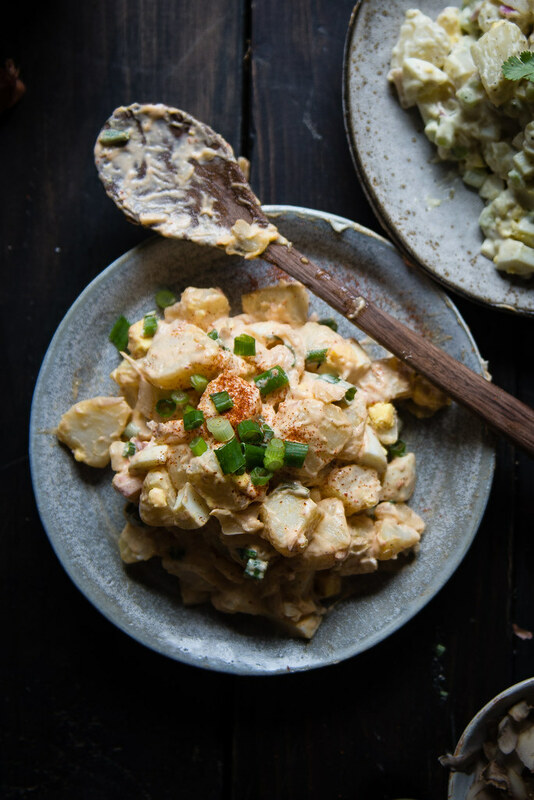 love the idea of kimchi all up in a picnic-y tater salad – yum! hugs + sunshine, xo. I’ve just started making my own kimchi and I’m looking where to use it. This is so perfect! Less than 2 months!! So incredibly exciting!!!! I’m so happy for you(: And this potato salad looks delicious and is surely perfect for a picknick! YAY for warm weather and picnics! It is still snowing here…enter GIANT sad face, but I am already making summer foods too, I mean, I can’t help it. Both potato salads looks amazing! Eeek, it’s like I’m re-living the wedding days through you all over again!!! ^_^ But one thing I’ll say–I absolutely hated the seating chart and I think it’s confirmation that I despise anything to do with coordinating things on paper. Also, how do you always come up with the yummiest and most clever ways of incorporating kimchi? 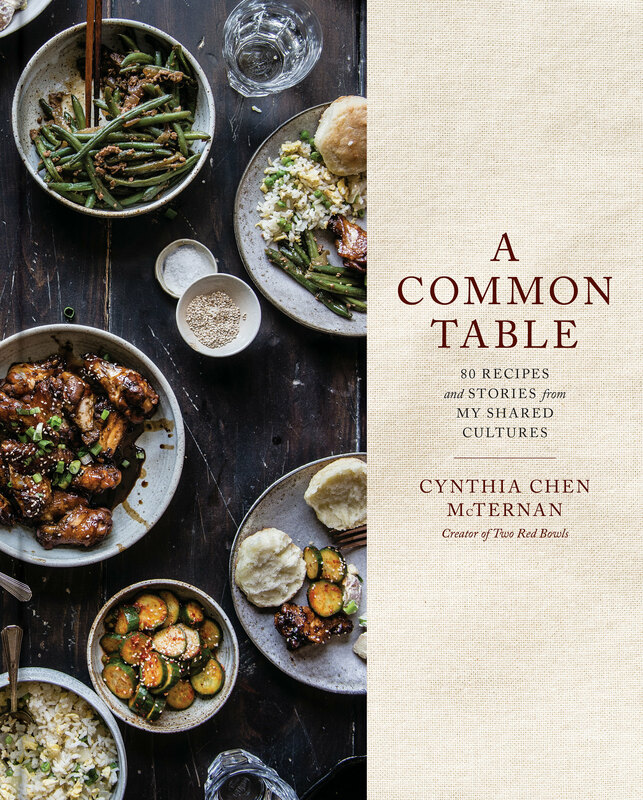 This is lovely and I can’t wait to make it, Cynthia! It’s so simple there’s no excuse to NOT make it, right? 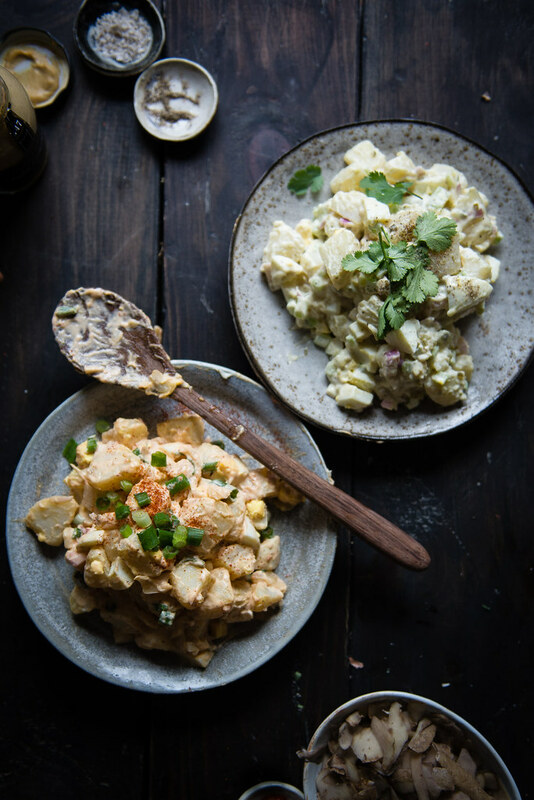 The weather here hasn’t been quite as good as NYC by all accounts so we’re yet to break out the picnic-ware but I feel it’s only a matter of days and then this potato salad (with kimchi!!) has zoomed right to the top of the to-make list! First, I’m kinda excited I will finally get to meet you in NYC this year. And two, kimchi love on this post! I have a Korean-Japanese market two blocks from where I live and the kimchi aisle is my favorite. They have endless options of kimchi varieties that make it so exciting. 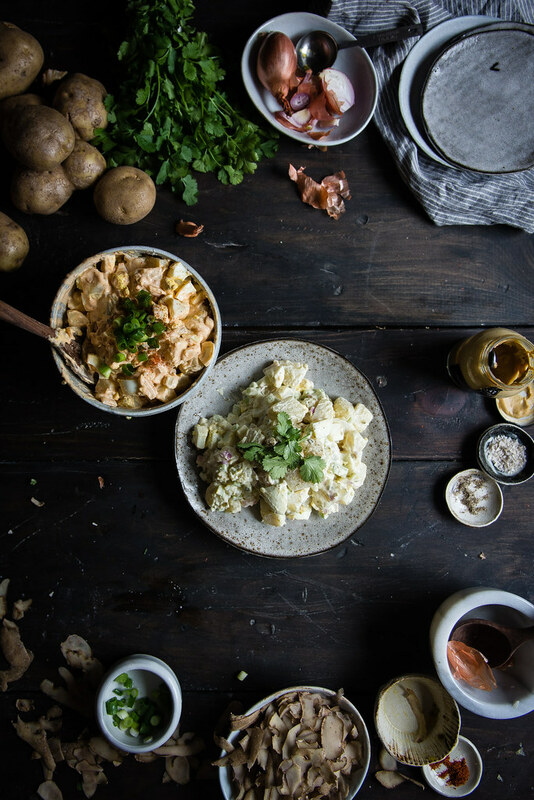 Kimchi in potato salad is pure genius! wow! i never thought of that combination. but just wow. sounds amazing.